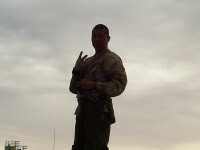 Lance Corporal Hatak Yuka Keyu (Hatakyukak) M. Yearby was born in Lawton, Oklahoma, on 11 March 1985. He graduated from Marietta High School in Marietta, Oklahoma, in 2003, enlisted in the Delayed Entry Program, and reported to Marine Corps Recruit Depot, San Diego, California, in May 2005. 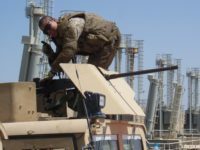 After graduating from recruit training in July of that same year, he reported to the School of Infantry (SOI) for Marine Corps Combat Training (MCT). Completing MCT, Lance Corporal Yearby reported to Camp Lejeune for the Basic Warehouse Clerk Course and obtained the Military Occupational Specialty 3051. 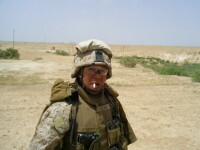 In October 2005, Lance Corporal Yearby was transferred to 3d Battalion, 3d Marines, and assigned to Supply Section, Headquarters and Service Company. 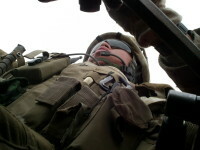 He deployed to Iraq in support of Operation IRAQI FREEDOM and was assigned to “Freelance,” a unit that provided security for Explosive Ordnance Disposal Team 2, Detachment 4. He was killed in action on 14 May 2006. His personal awards include the Purple Heart. He is survived by his wife, Lindsey Yearby, his mother, Mary Yearby, and his father, Justin Yearby. The bridge over Hickory Creek on Highway 77 near Overbrook, Okla., was renamed on Wednesday, July 24, in honor of the late Marine Lance Cpl. 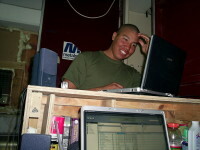 Hatak-Yuka-Keyu Martin Yearby, who was killed in action on May 14, 2006, in Iraq. A reception to commemorate the newly named bridge was held at the Greenville Elementary School, the school Hatak attended as a child before going on to graduate from Marietta High School in 2003. Senator Frank Simpson, Representative Tommy Hardin, and Choctaw Chief Gregory E. Pyle all addressed the large gathering of family and friends, speaking on Hatak’s accomplishments and service to the nation and expressing their appreciation to his family. Whereas, Lance Corporal Hatak-Yuka-Keyu Martin Yearby contributed to the quality of life and destiny of a nation by his faithful and loyal devotion to duties and made the ultimate sacrifice in service. Now therefore be it resolved by the Board of Commissioners of Love County, on behalf of all its citizens, as a show of deepest appreciation for everything Lance Corporal Hatak-Yuka-Keyu Martin Yearby did for Love County and the United States of America, does hereby declare July 24, 2013, “Lance Corporal Hatak-Yuka-Keyu Martin Yearby Day” throughout Love County. After a presentation to the family of a replica of the new bridge sign, everyone moved out in a large vehicle convoy, led by the Patriot Guard Riders, to Hickory Creek to witness the unveiling of the two new signs at each end of the bridge along Highway 77. He went on to describe his son and the path that lead him to a life of service. “Everyone who knew him would say he was fun, he was a prankster, a jokester, always having a good time,” he said. “But being in the service was something he always wanted to do,” he continued. Hatak, whose heritage included Choctaw, Creek and Seminole, was a pow wow dancer all his life. “He grew up in the pow wow arena and grew up seeing and knowing the respect our culture gives to our warriors. He witnessed this his whole life. 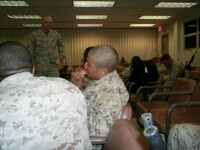 And that was solidified when his older sister joined the Marines. Rep. Hardin sponsored the bill to name the bridge after Hatak after being contacted by Laquita Ladner of Burneyville, a former substitute teacher where Hatak attended school. Hardin began the process in the House, and Sen. Simpson ushered it through the State Senate. Lance Corporal Hatak Yuka Keyu Yearby, H&S Company. Hickam Field, Hawaii. March 2006. Lance Corporal Hatak Yuka Keyu Yearby, H&S Company. Anbar Province, Iraq. April 2006. 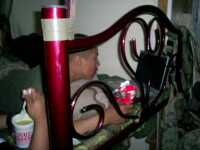 Lance Corporal Hatak Yuka Keyu Yearby, H&S Company. Anbar Province, Iraq. 10 May 2006. 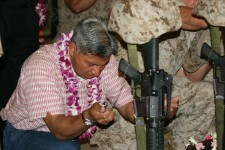 Justin Yearby holding Lance Corporal Hatak Yuka Keyu Yearby’s dog tags at at the battalion’s official memorial service, October 2006.